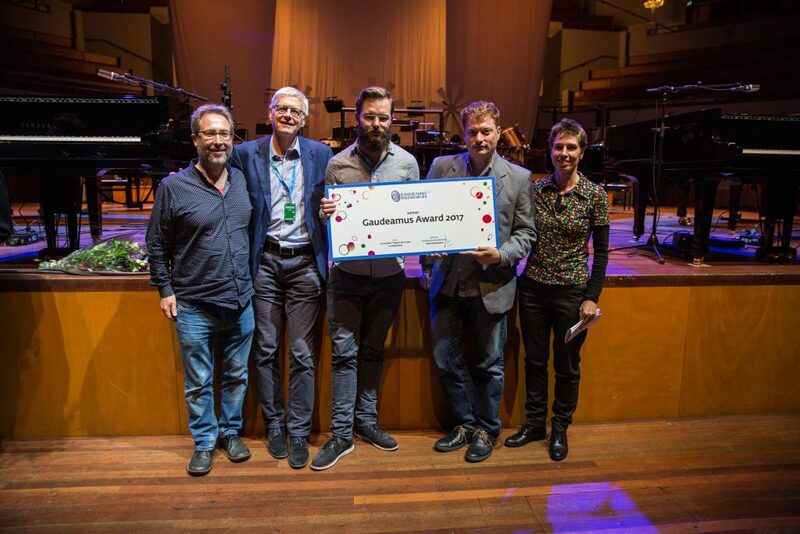 On Sunday 10 September, in TivoliVredenburg in Utrecht, the 71st edition of Gaudeamus Muziekweek was rounded off with the presentation of the Gaudeamus Award 2017. Jury member Christopher Trapani presented Aart Strootman (Netherlands 1987) with the prestigious incentive prize for young music pioneers. Aart Strootman will therefore be inducted into the hall of fame of distinguished prizewinners including prominent composers such as Peter Schat, Michel van der Aa and Louis Andriessen. For composers, winning the Gaudeamus Award signifies international recognition of their work, and for many of them it proves a springboard in their career. The Gaudeamus Award is an incentive prize for young composers up to the age of 30. The prize, which takes the form of a commission to compose a work for the following Gaudeamus Muziekweek, is worth €5,000. Gaudeamus Muziekweek remains closely involved with the careers of all prizewinners and nominees. The organisation arranges new composition commissions, repeat performances of works performed at the Festival and international collaboration with festivals and associated organisations worldwide.